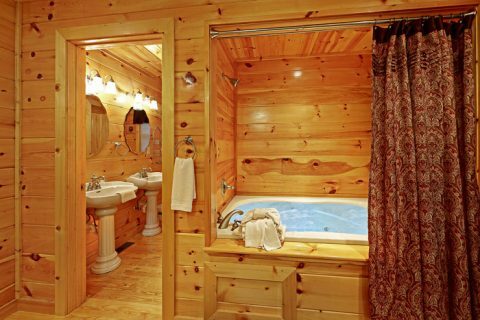 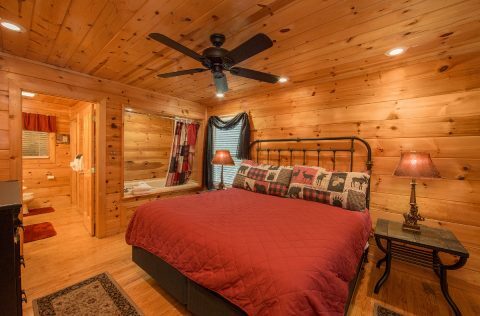 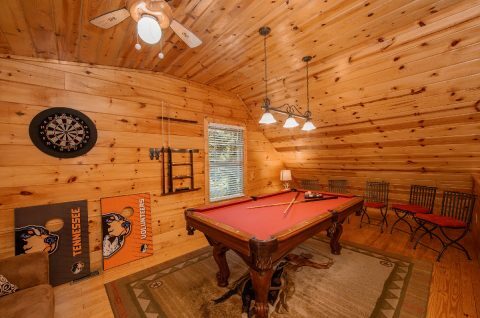 "Pleasant Hollow," a luxury 2-bedroom cabin in Pigeon Forge, gives guests the best of both worlds. 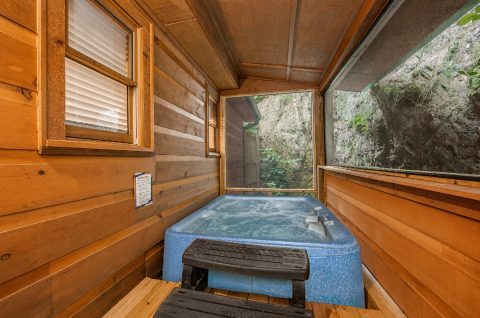 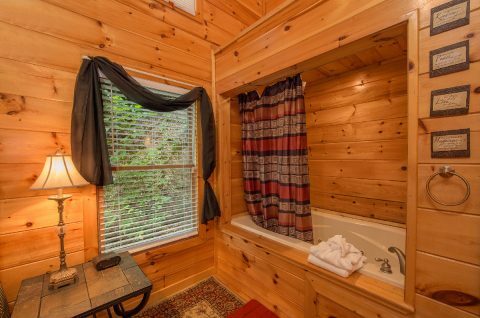 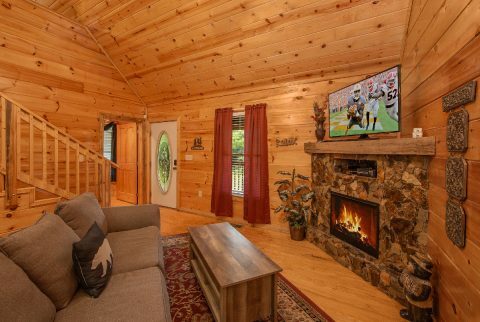 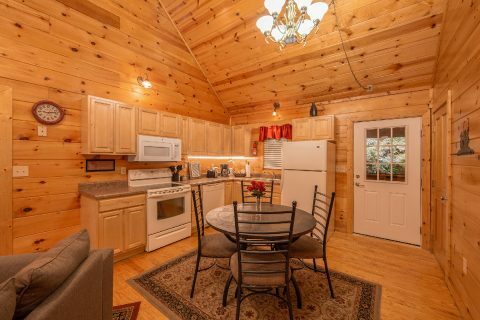 A secluded Smoky Mountains Arrowhead Resort cabin getaway offers privacy while still being close to Pigeon Forge attractions, shows, restaurants and more. 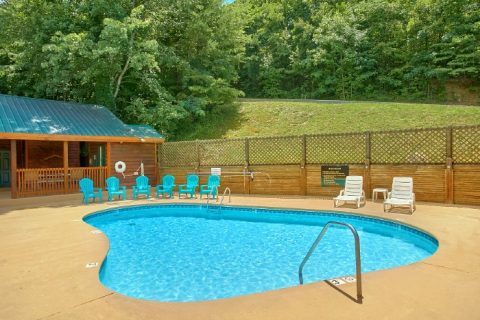 Just under a mile off the Pigeon Forge Parkway, you and your family can enjoy seemingly endless fun throughout Pigeon Forge and nearby Gatlinburg and return to your nearby private 2 bedroom cabin in Pigeon Forge for some much needed a time away from it all. 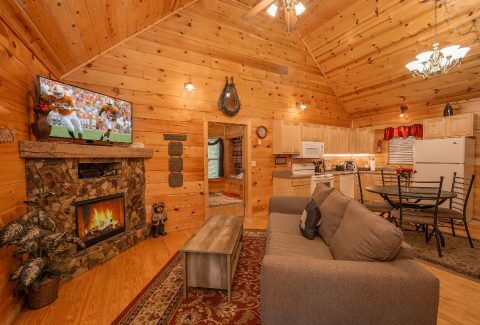 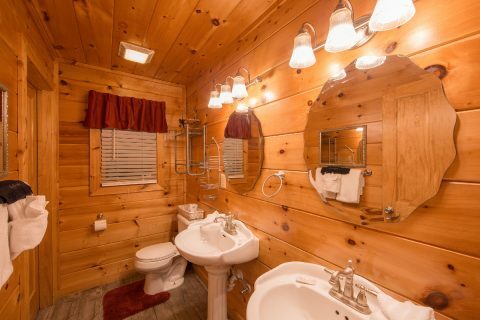 This Arrowhead Resort cabin sleeps up to 6 guests and features 2 bedrooms, each with their own king bed, flat screen television, and private in-room 2-person Jacuzzi. 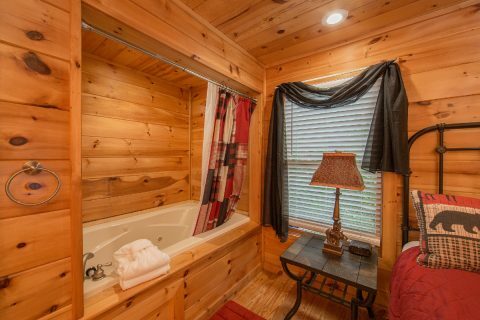 Guests will enjoy the extra privacy of the large hot tub, located on the cabin's back porch, and peaceful pasture views from the front porch benches. 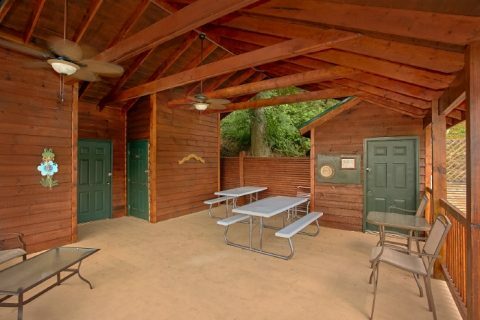 Just off the front porch is the charcoal grill for cookouts in the mountain air. 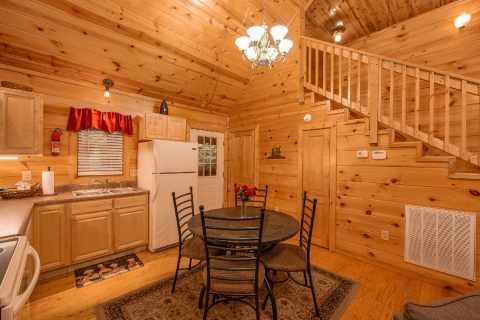 Inside, the cabin's fully equipped kitchen is standing by for anytime meals and snacks. 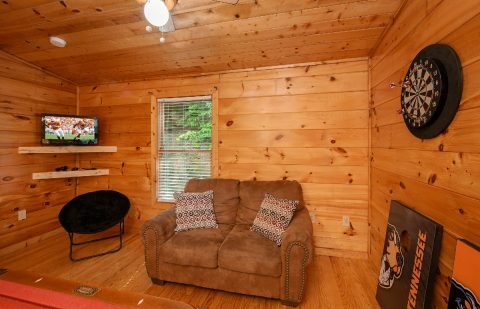 Tired of searching for "cabin rentals Pigeon Forge?" 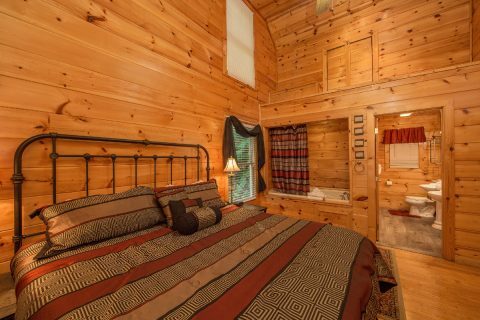 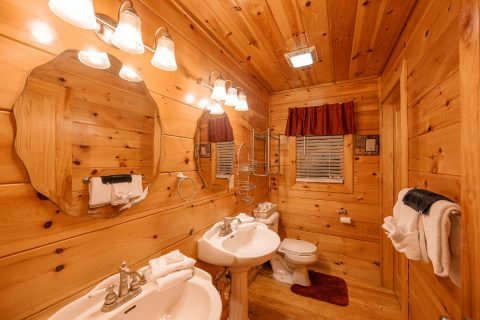 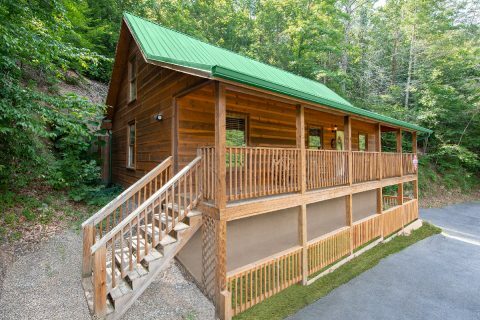 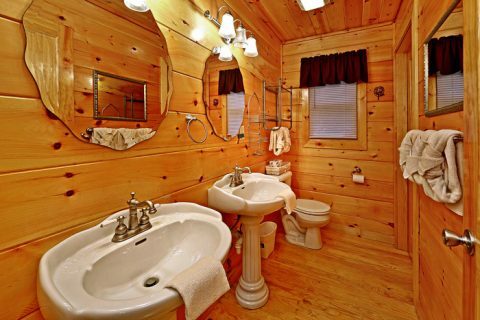 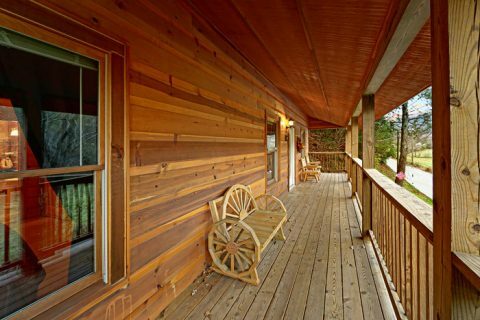 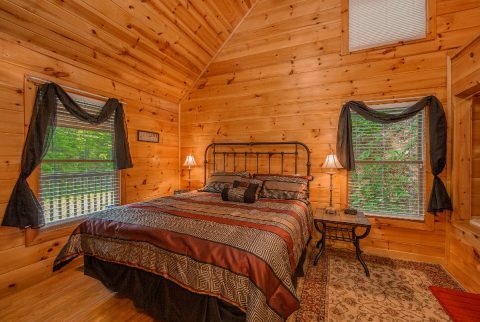 Book your luxury 2 bedroom cabin in Pigeon Forge online with Cabins USA and get your immediate Online Cabin Discount!